ww2dbaseBruce Fraser was born in 1888 to General Alexander Fraser and Monica Stores Fraser (née Smith). He attended Bradfield College in Bradfield, Berkshire, England, United Kingdom before joining the British Royal Navy, serving as a cadet aboard training ship HMS Britannia starting in Sep 1902. In Jan 1904, he completed his midshipman cruise aboard battleship HMS Hannibal of the Channel Fleet. In Feb 1905, he was transferred to battleship HMS Prince George, also of the Channel Fleet. In Mar 1907, he was promoted to the rank of sub-lieutenant. In May 1907, he was assigned to battleship HMS Triumph. In Sep 1907, he was assigned to destroyer HMS Gypsy. In Mar 1908, he was promoted to the rank of lieutenant. Later in the same year, he was transferred to the Mediterranean Fleet. In Aug 1910, he was transferred scout cruiser HMS Broadicea to the Home Fleet. In Jul 1911, he was assigned to the gunnery school HMS Excellent at Whale Island, Portsmouth, England. In 1912, he assisted in the development of the Advanced Gunnery Course at the Royal Naval College at Greenwich, England, and then served as an instructor at HMS Excellent starting in 1913.
ww2dbaseDuring WW1, Fraser saw action at Gallipoli, Ottoman Empire aboard cruiser HMS Minerva, taught at HMS Excellent, served as battleship HMS Resolution's gunnery officer, and finally served with the Grand Fleet. At the end of the war, in Nov 1918, he played a part in the internment of the German High Seas Fleet. ww2dbaseIn Jun 1919, Fraser was promoted to the rank of commander. In the following month, he was made an Officer of the Order of the British Empire. In 1920, he was the leader of the Royal Navy mission that was interned by the Red Army in Azerbaijian for six months. In 1921, he returned to HMS Excellent as an instructor. In Jun 1922, he was assigned to the Naval Ordnance Department of the Admiralty. In Dec 1924, he was named the Fleet Gunnery Officer of the Mediterranean Fleet. In Jun 1626, he was promoted to the rank of captain. In Jan 1927, he was made the head of the Tactical Division of the Admiralty. In Sep 1929, he was named the commanding officer of cruiser HMS Effingham on the East Indies Station. In Jul 1933, he was named the Director of Naval Ordnance Department of the Admiralty. In May 1936, he was named the commanding officer of carrier HMS Glorious. In 1937, he became the Chief Staff Officer to the Flag Officer Aircraft Carriers. In Jan 1938, he was promoted to the rank of rear admiral. In Apr 1938, he was made Chief of Staff to the Commander-in-Chief Mediterranean Fleet Dudley Pound. In 1939, he was made a Companion of the Order of the Bath. In Mar 1939, he was named the Third Sea Lord and Controller of the Navy. ww2dbaseThe European War of WW2 began as Fraser was the Third Sea Lord. In May 1940, he was promoted to the rank of vice admiral. In 1941, he was made a Knight Commander of the Order of the British Empire. In Jun 1942, he was named the Second-in-Command of the Home Fleet and Flag Officer of the 2nd Battle Squadron. In May 1943, he was named the Commander-in-Chief of the Home Fleet. Later in the same year, he was made a Knight Commander of the Order of the Bath. In this role, he was best known for his intuition that German battlecruiser Scharnhorst would attack Allied convoy JW 55B, thus was able to ambush and sink Scharnhorst on 26 Dec 1943 during the Battle of the North Cape off Norway. For this accomplishment, he was made a Knight Grand Cross of the Order of the Bath in Jan 1944, was promoted to the rank of full admiral in Feb 1944, and was awarded the Soviet Order of Suvorov, First Class also in Feb 1944. In Aug 1944, he was given command of the Eastern Fleet. In Dec 1944, he was named the commanding officer of the Pacific Fleet; in this role, he would maintain his headquarters in Sydney, Australia, and would remain there until the end of the war. 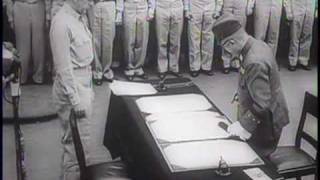 He was present at the Tokyo Bay surrender ceremony in Sep 1945 that marked the end of the Pacific War. ww2dbaseIn Apr 1946, Fraser was made the First and Principal naval Aide-de-Camp to the King. In Sep 1946, he was made Baron Fraser of North Cape of Molesey in the County of Surrey. In Sep 1947, he was made the Commander-in-Chief, Portsmouth. In Feb 1948, he was promoted to the rank of Admiral of the Fleet. In Sep 1948, he was made the First Sea Lord and Chief of the Naval Staff. As the First Sea Lord, he played a role in the establishment of the North Atlantic Treaty Organization (NATO), notably agreeing with the Americans that the chief of the Supreme Allied Commander Atlantic should be an American officer rather than a British officer, against the popular sentiment of his colleagues in the British Royal Navy. He retired from service in Dec 1951. He passed away in London, England in Feb 1981. 5 Feb 1888 Bruce Fraser was born in Acton, Middlesex, England, United Kingdom. 15 Jan 1904 Bruce Fraser completed his midshipman cruise aboard battleship HMS Hannibal. 15 Mar 1907 Bruce Fraser was promoted to the rank of sub-lieutenant. 15 Mar 1908 Bruce Fraser was promoted to the rank of lieutenant. 15 Mar 1916 Bruce Fraser was promoted to the rank of lieutenant-commander. 30 Jun 1919 Bruce Fraser was promoted to the rank of commander. 17 Jul 1919 Bruce Fraser was made an Officer of the Order of the British Empire. 27 Apr 1920 Bruce Fraser, along with all members of a Royal Navy commission, was interned by the Soviet Red Army at Baku, Azerbaijian. 5 Nov 1920 Bruce Fraser departed Baku, Azerbaijian by rail under captivity. 7 Nov 1920 Bruce Fraser arrived at Tiflis, Georgia by rail under captivity. 12 Nov 1920 Bruce Fraser departed Constantinople, Ottoman Empire aboard HMS Heliotrope. 26 Nov 1920 Bruce Fraser arrived in Britain. 1 Dec 1920 Bruce Fraser greeted officers returning from Soviet captivity at Portsmouth, England, United Kingdom. 30 Jun 1926 Bruce Fraser was promoted to the rank of captain. 11 Jan 1938 Bruce Fraser was promoted to the rank of rear admiral. 2 Jan 1939 Bruce Fraser was made a Companion of the Order of the Bath. 8 May 1940 Bruce Fraser was promoted to the rank of vice admiral. 1 Jul 1941 Bruce Fraser was made a Knight Commander of the Order of the British Empire. 19 Jan 1943 Bruce Fraser was made a Grand Officer of the Dutch Order of Orange-Nassau. 8 May 1943 Admiral Bruce Fraser replaced Admiral John Tovey as the head of the Royal Navy Home Fleet. 2 Jun 1943 Bruce Fraser was made a Knight Commander of the Order of the Bath. 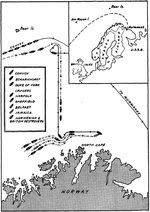 23 Dec 1943 British Home Fleet Admiral Bruce Fraser dispatched battleship HMS Duke of York, cruiser HMS Jamaica, and 4 destroyers (3 British and 1 Norwegian) north in anticipation of German interception of Allied convoy JW-55B, which was sailing toward Murmansk, Russia. 5 Jan 1944 Bruce Fraser was made a Knight Grand Cross of the Order of the Bath. 7 Feb 1944 Bruce Fraser was promoted to the rank of admiral. 25 Feb 1944 Bruce Fraser was awarded Soviet Order of Suvorov, First Class. 27 Apr 1946 Bruce Fraser was made the First and Principal naval Aide-de-Camp to the King. 13 Jan 1948 Bruce Fraser was awarded the Grand Cross of the Norwegian Order of St. Olav. 7 Feb 1948 Bruce Fraser was promoted to the rank of Admiral of the Fleet. 12 Feb 1981 Bruce Fraser passed away in London, England, United Kingdom.